If you're reading this, you must have a passion and love writing about it. You are the center of attention in gathering and people ask you to share your best tips and strategies. Now, you are seriously considering broadcasting yourself through a more established medium and what better way to start than blogging? Many people remain a bit intimidated about the whole internet and technology part of starting a Successful blog. Let me say this, there is no need to worry about anything at all. If you want, you can start your successful blog today, in fact, that's what you should do! Here is a very simple guide that will take you through all the steps required to start your own successful blog today. This is the initial step that you are guaranteed to enjoy. Domain name is basically what you type between www and .com. Most often, it's identical to your blog name and that's what's recommended. Brainstorm and list down names that you would like for your blog. It's preferable to come up with as many ideas as possible. 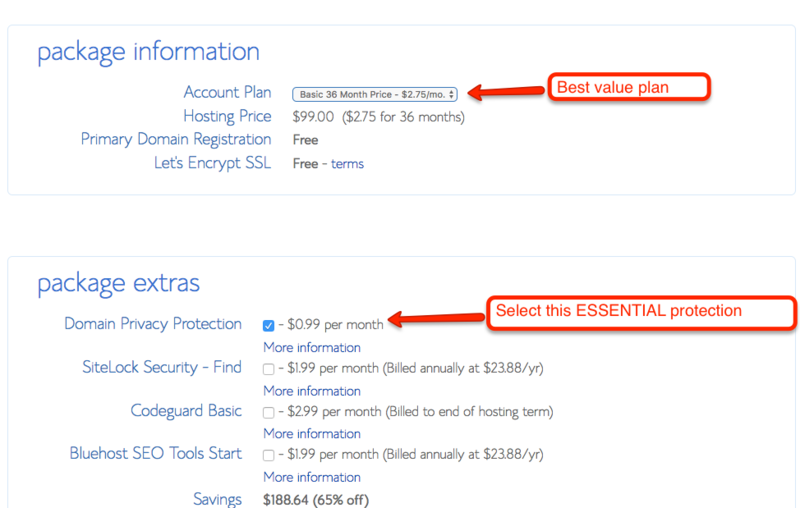 Once you have done that, keep this list at hand and head to Bluehost to get your hosting (essential for ANY website). It's time to get the hosting service. 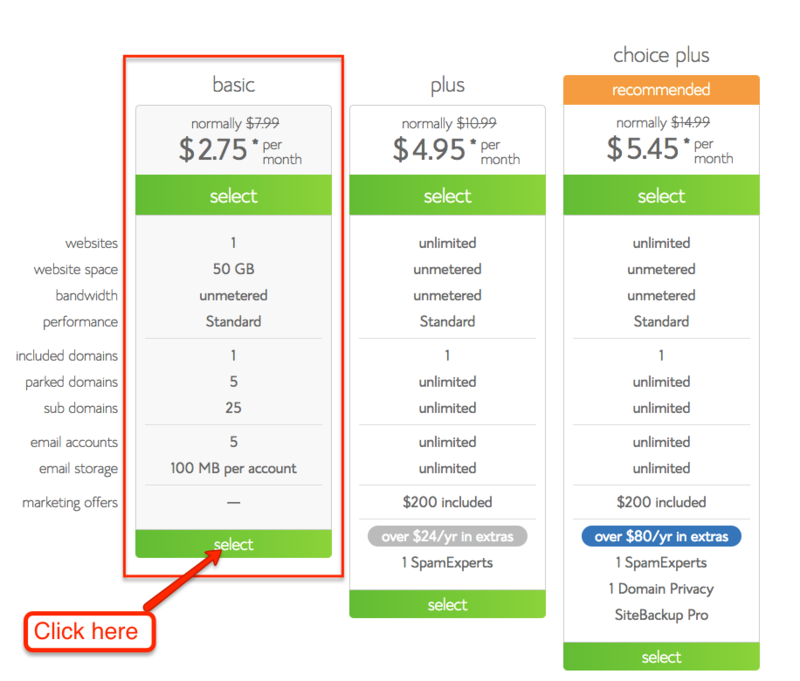 Hosting is basically the storage space you buy from a company where you website is stored. Bluehost also offers hosting services so you can pick your plan right away. We recommend you go with the basic Plan as it is not only economical but usually more than enough for bloggers. Good news is if you're hosting your website using Bluehost, you won't need to purchase the domain name and you will get it for free. That's a fantastic deal which you should definitely consider! Now get the list of domains you brainstormed in step 1 and decide which name you want to stick to. It’s time to claim your FREE domain that you get when using my link. On package information settings page, ensure everything is according to the recommended settings below. The absolute best value in my experience is the 36 months package because you don’t have to think about renewing your domain every year and you get the hosting at the best price on the market. IMPORTANT: You don’t need most of the options, especially if you are just starting. The one option I STRONGLY encourage you to get is the domain privacy protection which is essential to protect your privacy and confidentiality. Once you have purchased the hosting, it is time to set up your blogging platform called WordPress. WordPress is a content management system that millions of people use for blogging. It is simple and user-friendly and allows you to format content the way you like. From adding blogs to uploading pictures, everything is handled through WordPress. Installing it is a walk in the park. Here's all you need to do. When you have got your hosting from Bluehost, they will provide you with credentials. Using those login to Bluehost and go to the Website Builders section. There you will find the WordPress logo, click on it. It will take you to another page where you should go to “Do it Yourself FREE” section and click on “Install” button. Next, click on the “Check Domain” button. Hit the check box right next to “I have read the terms and conditions” and click on “Install Now” button. When you have gone through the above procedure, you will see “Your install is complete!” message. 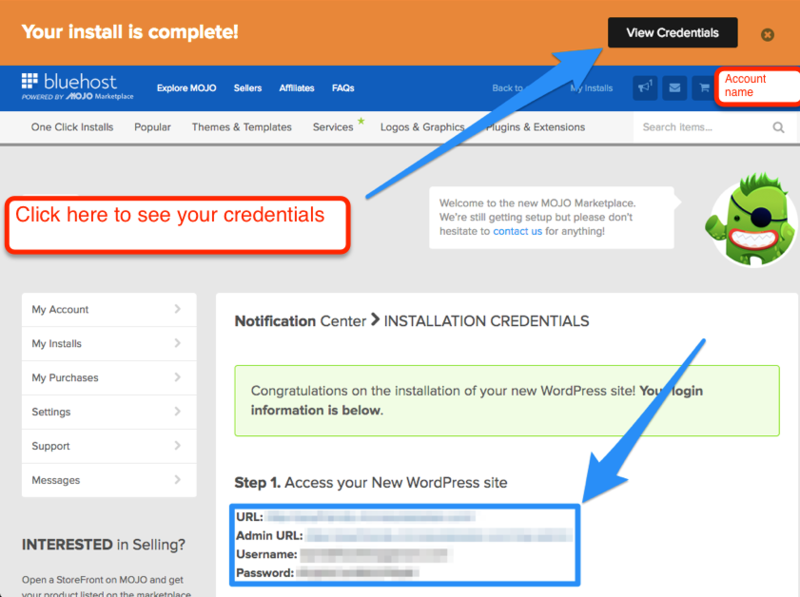 Here you should click on the “View Credentials” button to reveal your Admin URL, Username, and Password. These will appear to be cryptic but you can change them later on. However, you will need these credentials for logging into your blogging software for the first time. Now, enter the Admin URL in address bar of your browser. 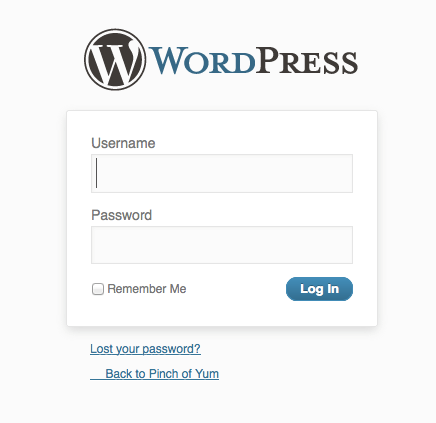 A login screen will appear asking for username and password. Oblige and you'll find yourself logged in. Your job is almost done! Now you have got your own successful blog! Give yourself a pat on the back. From here, it will just take a few minutes before you are sharing your favorite tips and telling the world how much you love it. The Thesis Theme – It is a simple yet fun theme with a nice bold font. A great start for blogging beginners. The Genesis Framework – With a minimalistic design and simple yet aesthetically pleasing combination of colors, this could be a great start as well. Elegant Themes – This combines elegance, outstanding color blends, and amazing fonts in one single package. Whatever you choose, we wish you best of luck! Happy blogging! Now that you have your blog you are officially on the right track to earn a living online. The most important step is to learn how you can monetize your new blog. In other words, you need to know how you can turn the visitors into dollars. Explaining this in this blog post would have been too overwhelming and hence I have created a FREE email course that will teach you exactly what you need to do, step-by-step, to start earning thousands from your blog. Start Your Online Business Now! 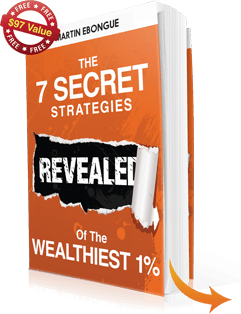 If You Are Looking For Guidance To Start Your Own Online Business”, Then You Need To Get Your Hands On “The Ultimate Lifestyle Secrets”. Maximum Profits: The Most Powerful Done-4-U Chatbot Agency In The World That Brings You Clients Who Pay You $2,000 Per Month Without Fail. Passive Income: My Turnkey System For Beginners To Created Multiple Fully-Automated Income Streams On Demand.